Proactively “From the Sea”; an agent of change leveraging the littoral best practices for a paradigm breaking six-sigma best business case to synergize a consistent design in the global commons, rightsizing the core values supporting our mission statement via the 5-vector model through cultural diversity. RAND has a new study out I am really jonesing to find a free copy of, Movement and Maneuver: Culture and the Competition for Influence Among the U.S. Military Services. Institutional culture is important, and a real diversity of viewpoints and ways to address problems is what, in the joint environment, brings the creative friction needed to ensure we find the best possible solution. Yes, for some that previous point seems not fully inline with the goal of jointness. Well, you're wrong. The worst possible outcome in the joint environment is when everyone nods their head in agreement. What we need are vigorous viewpoints in conflict making points and counterpoints about various capabilities and ideas. From that conflict, your the best ideas - usually - have the best chance of rising to the top. 1. 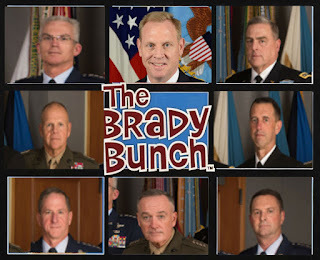 What cultural characteristics, primary goals, and competitive strategies and tactics are exhibited by the Army, Navy, Air Force, Marine Corps, and U.S. Special Operations Command? 2. How might each of the services and U.S. Special Operations Command adapt and respond if it faced major policy shifts in the future, specifically in the Asia-Pacific? --- The Army seeks to drive acceptance of the centrality of conventional ground combat, preserve and grow end strength and force structure, and participate in all contingencies. --- Its chief competitive goals are to maintain forward presence, sea control, power projection through force structure changes, and secure Department of Defense acceptance of purely naval missions. --- The Air Force focuses on technology, innovation, and strategic analysis, and aims to make air superiority central to U.S. strategy, reinforce an identity beyond enabling, and sustain dominance in space and cyber realms. --- The Marine Corps competes by demonstrating relevance through forward presence, maintains operational autonomy, and preserves Marine culture and the forcible entry mission. --- USSOCOM's chief competitive goals are to maintain and grow autonomy, limit Special Operations Forces overuse, and retain primacy on a critical mission set that ensures its relevance. Some interesting pull-quotes from Stars and Stripes' John Vandiver on the report. My goodness - pop-psych comes to The Pentagon. Do we need to bring Dr. Phil in? The Army’s shortcomings could be due in part to its own high self-regard as the oldest and largest of the services. “For the Army, its value it so obvious, so core to the fiber of the nation, that it seems inarticulable,” the report said. Oh, for the love of Pete Army, do you need a hug? While the Army is regarded as the “most honest and credible of the services” in responding to requests from Congress, it still “struggles to tell its story” to lawmakers in a coherent manner. The Air Force and Navy, meanwhile, were described as more “Machiavellian” and effective in how they approached Congress for support. That is true WRT the USAF. The Navy competes better by articulating clear service strategies that are few in number and concise and “used by the Navy equally to articulate its value to outsiders and operating concept to insiders,” the report said. ...insecurity also is a driver in Marine innovation as it looks for gaps to fill like the amphibious assault doctrine before World War II. A more recent example was the establishment of a Marine crisis response force for Africa that was quickly assembled after the 2011 attack on a U.S. diplomatic facility in Benghazi, Libya, that killed four Americans. “The net result of Marine organizational paranoia is an acute concern with the consistent demonstration of value to policymakers, Congress, and the public,” the report said. 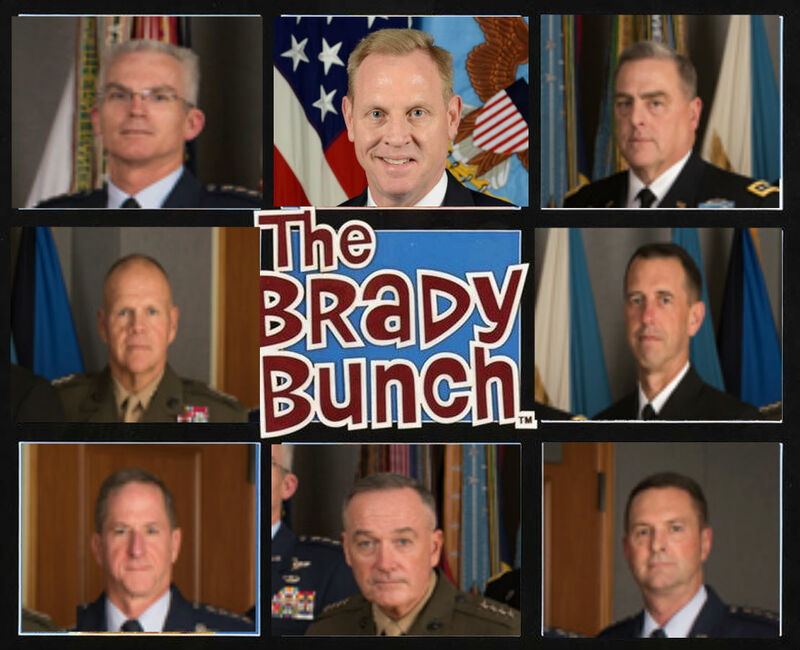 The Pentagon; a Brady Bunch gaggle of insecure kids. UPDATE: As Steve let me know on twitter, you can download the PDF here. I'm going to be spending some quality time with the list of Southern cocktails from Garden & Gun through the new year. SRI LANKA ATTACKS: MEDIA, POLITICIANS TRIP OVER EACH OTHER TRYING TO AVOID USING THE WORDS 'MUSLIM', 'ISLAMIC', 'JIHAD'. From My Position... On the way! Episode 483: Quō Vādis, USNR? Tanks for nothing - Why it does not matter if the British Army has fewer tanks than Cambodia. So, how was your deployment?